Nam Nguyen studied on seven continents and brought back inspiration. Last spring, Nam Nguyen landed in Mexico City, the home stretch of a journey that began three years ago with an ambitious goal: study abroad on all seven continents. Since his first summer study-abroad trip to Ireland, Nguyen has completed 11 study-abroad programs with travels to Italy, Germany, England, Brazil, Australia, South Korea, Argentina, Ghana, Mexico, and even Antarctica. 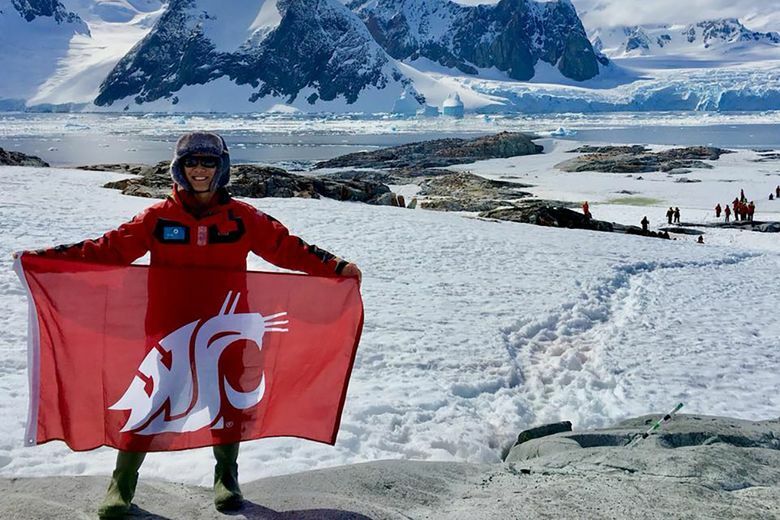 “They aren’t only my travels, but they are also my family’s dreams,” says Nguyen, now a senior at Washington State University. As a 6-year-old, Nguyen imagined traveling beyond the small rural town in southern Vietnam where he grew up. He explored the world through the screen of his family’s 14-inch television, learning about Antarctica, South America, the Vatican and Buckingham Palace. During his junior year of high school, Nguyen immigrated to the United States with his mother and sister. They moved to Kent, Washington, and Nguyen became the first person in his family to graduate from high school and go to college. Nguyen went to WSU in Pullman and applied for dozens of scholarships, receiving more than $130,000 in aid. From his travels, Nguyen remembers the ring of the bell from the Vatican City, the delicious fried plantain in Ghana, and the kimchi soup in Seoul. He said he gained more insight into problem-solving around the world and greater appreciation for cultures and beliefs. As a McNair Scholars Program student researcher, Nguyen studies education abroad, why some destinations are more popular, and what factors influence a student’s choice. He’s presented his research in Hawaii, Washington D.C., and Harvard University. In May, he’ll speak at the World Congress on Undergraduate Research in Germany. When he’s not traveling, Nguyen serves as a peer mentor, helps new international students acclimate, and is assisting with WSU’s first LGBTQ+ focused study abroad program. “As an immigrant, and having received so much help and support upon my arrival, I always try to help and support the community around me,” he says. Nguyen plans to graduate in May with degrees in international business and marketing. He hopes to advise businesses on decisions about eco-friendly technology practices, to mitigate the negative impacts of climate change and protecting the planet he loves to explore. Washington State University offers 175 graduate and professional degree programs at five locations across the state: Pullman, Tri-Cities, Vancouver, Spokane and Everett. The Global Campus delivers degree programs online. Explore locations and programs at wsu.edu.